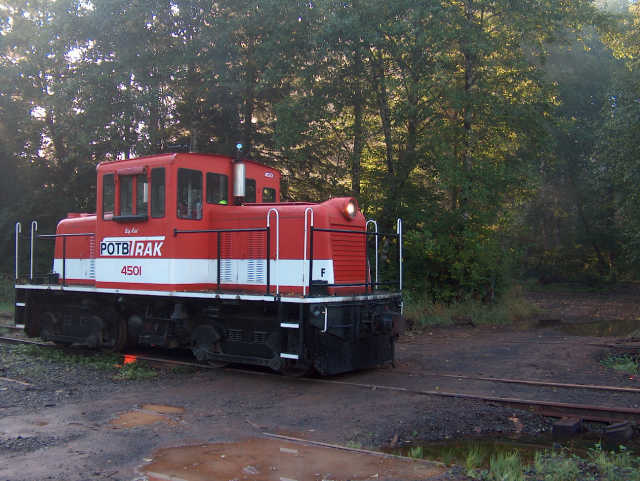 locomotive and found this one for sale at the Chelatchie Praire Railroad. 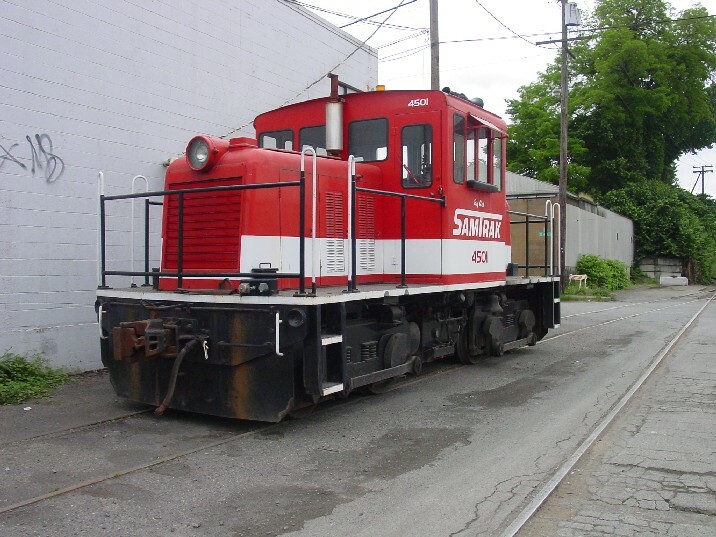 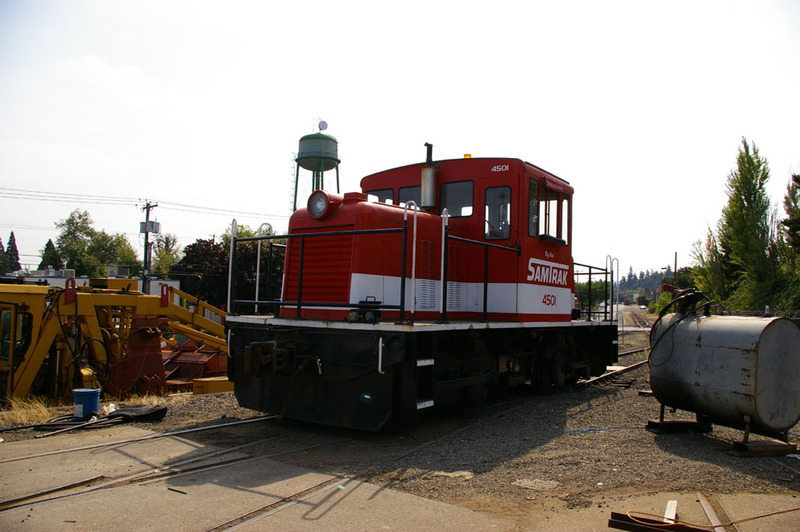 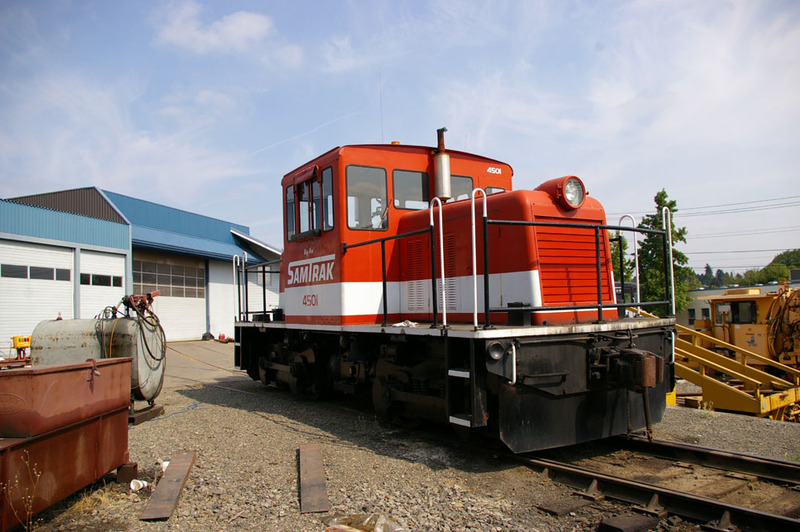 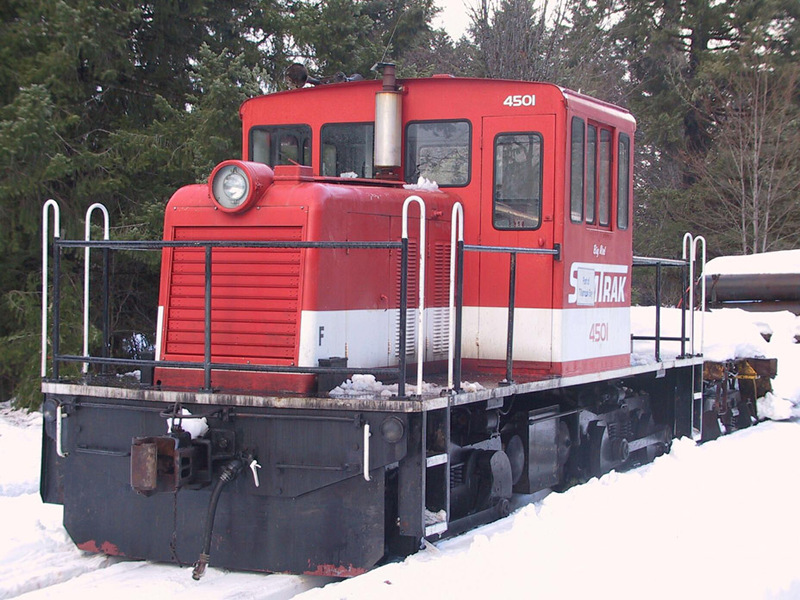 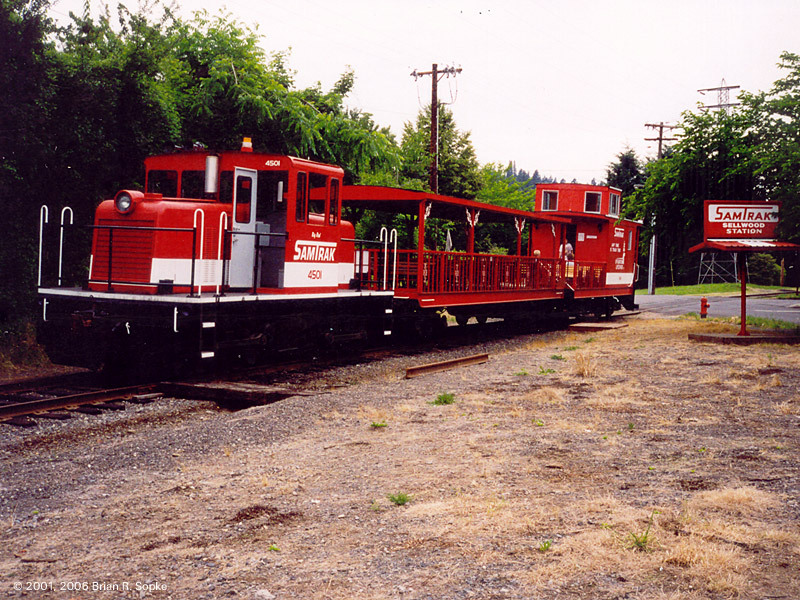 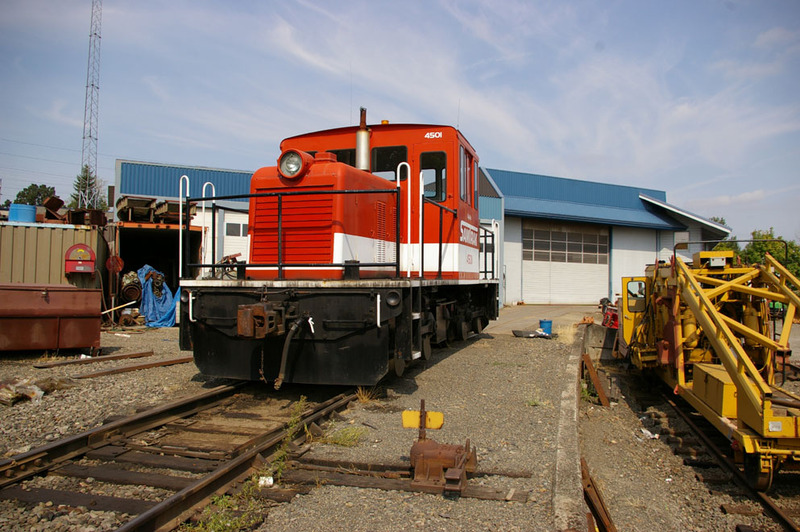 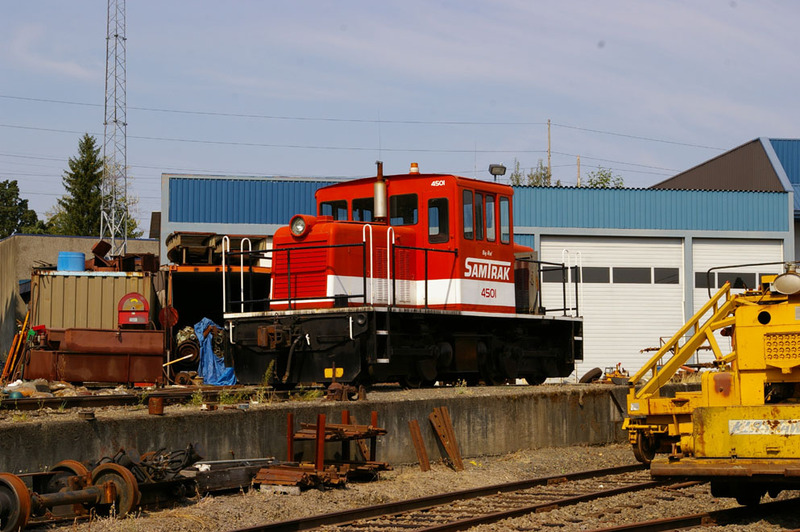 served on the Alaska Railroad as a switcher before being sold to the Cheletchie Prairie Railroad in Washington as their No. 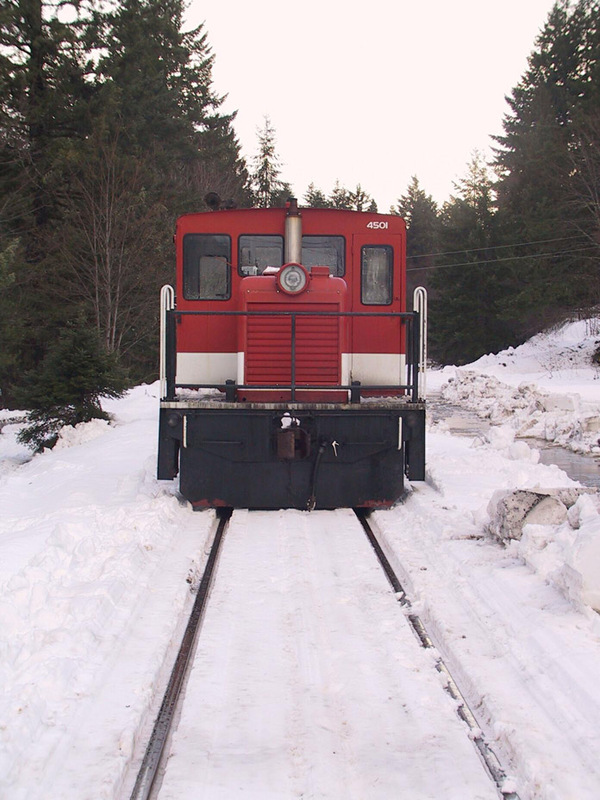 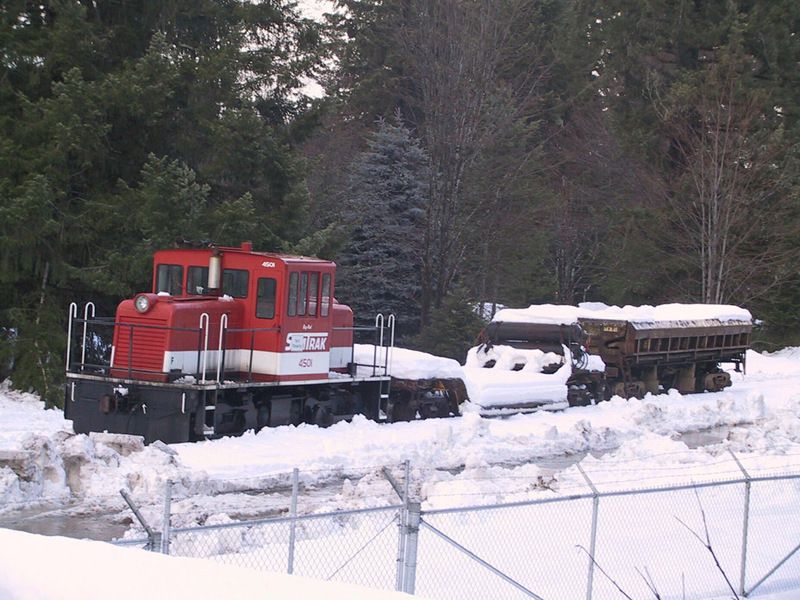 common carrier remote control locomotive in the Northwest. 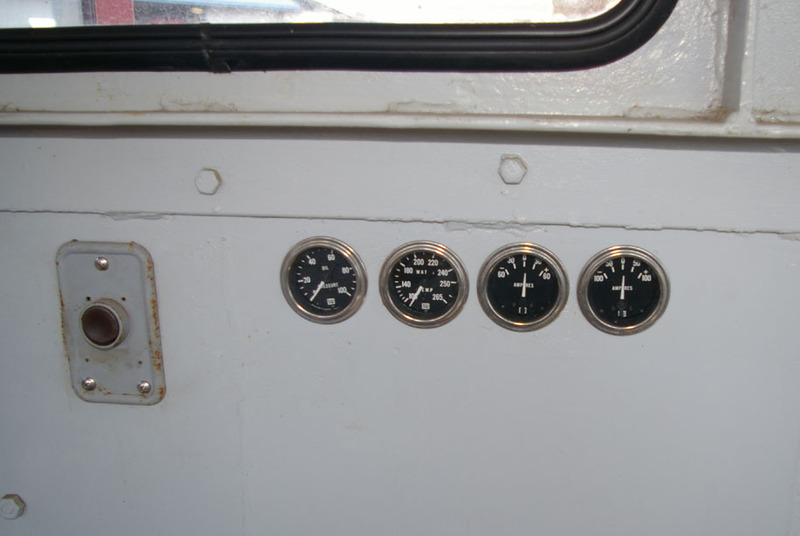 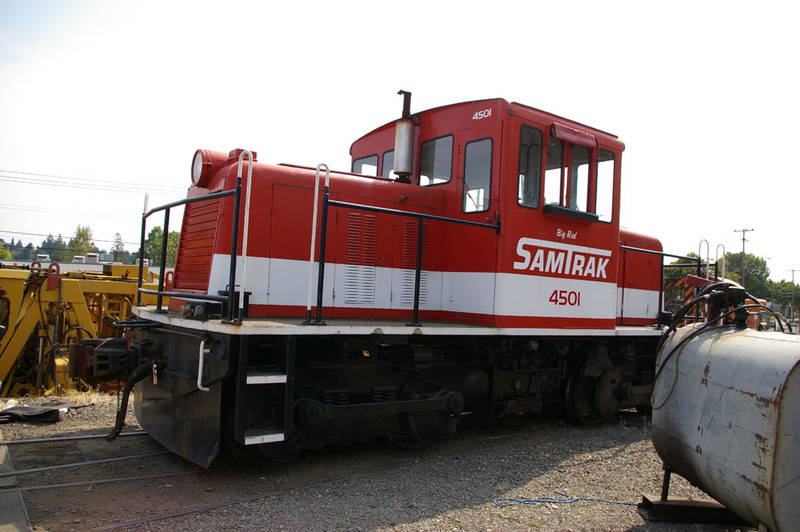 Engines are two 150 h.p. 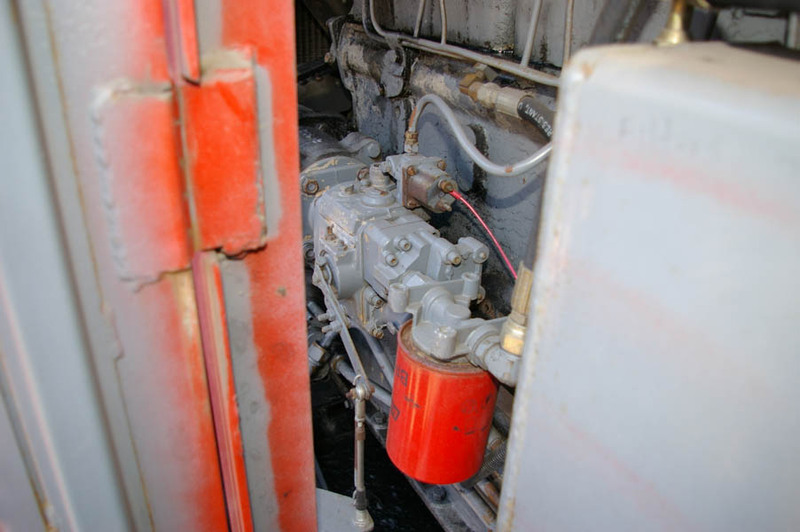 Cummins diesels. 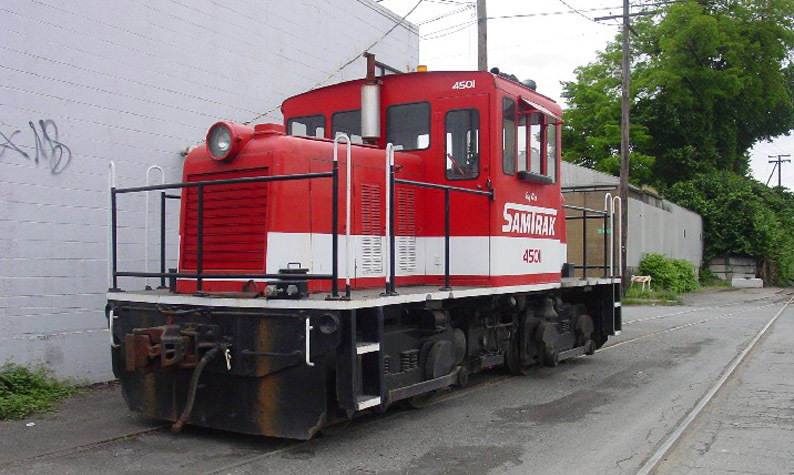 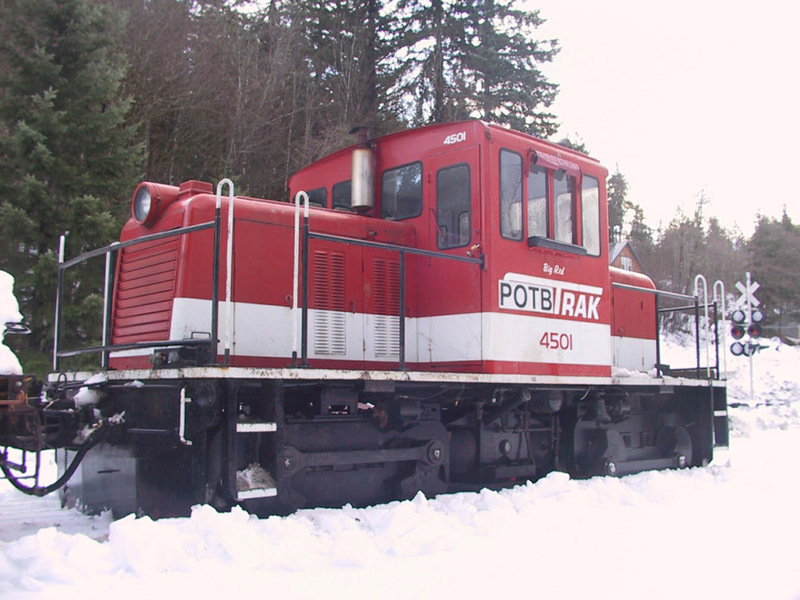 Here's a photo of the 4501 when it operated for the Chelatchie Praire Railroad as their No. 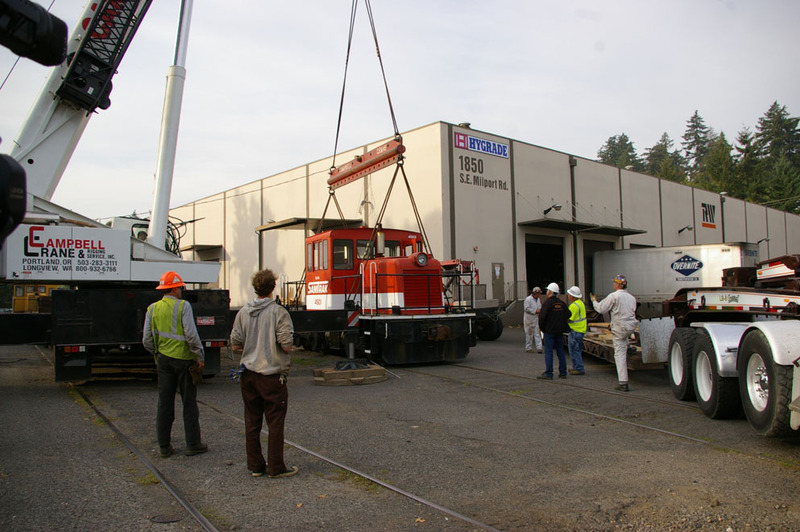 007.
make repairs and hopefully reopen the line by the spring of 2009. 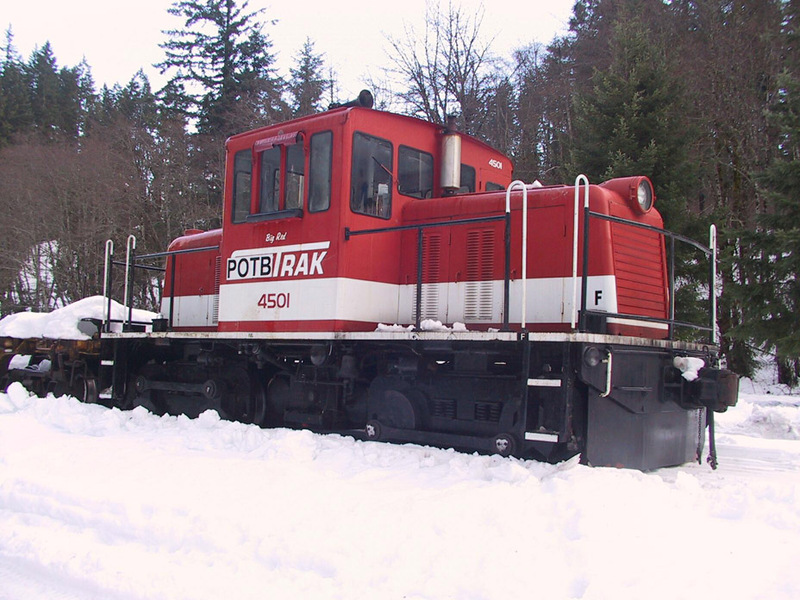 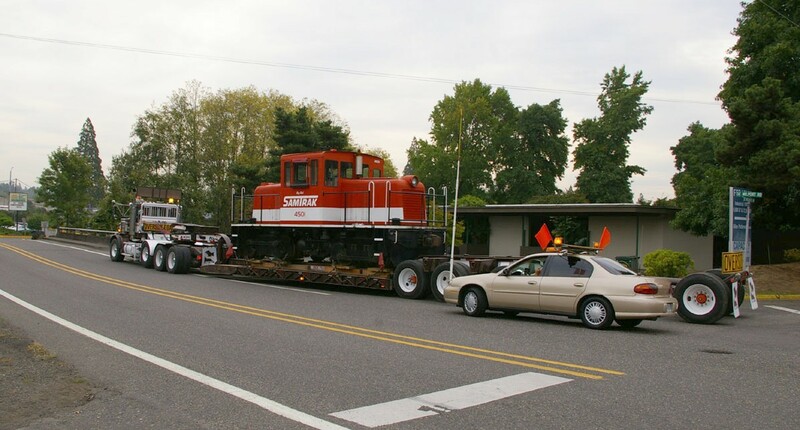 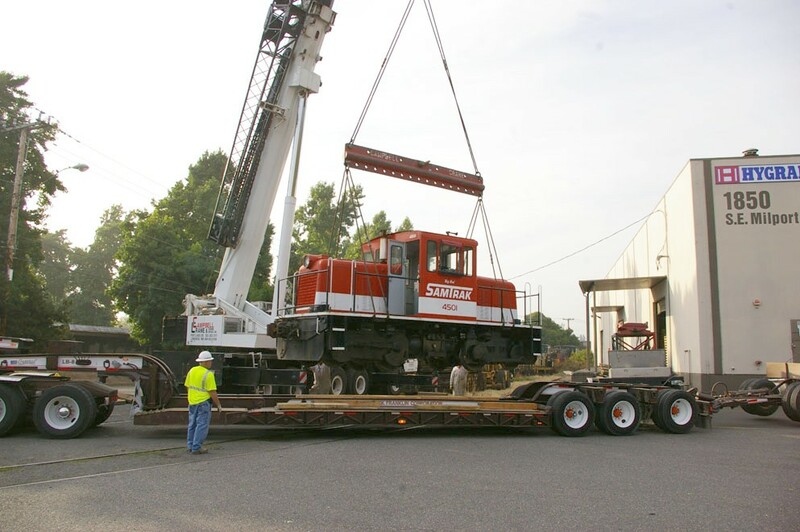 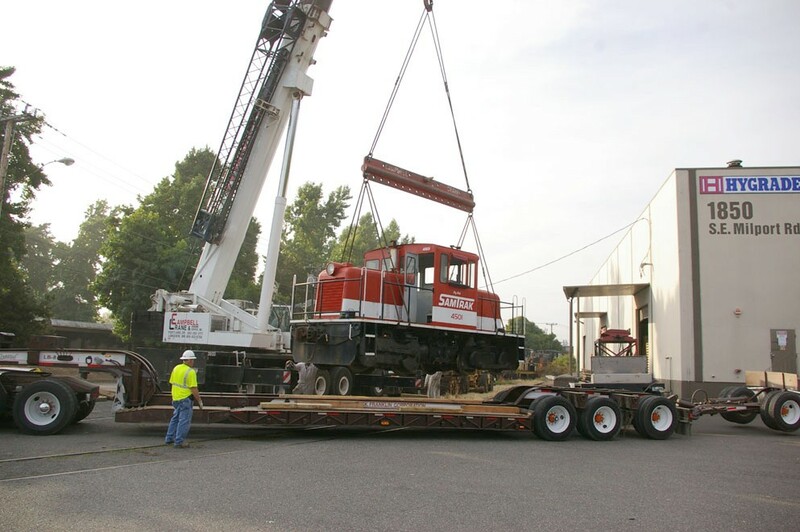 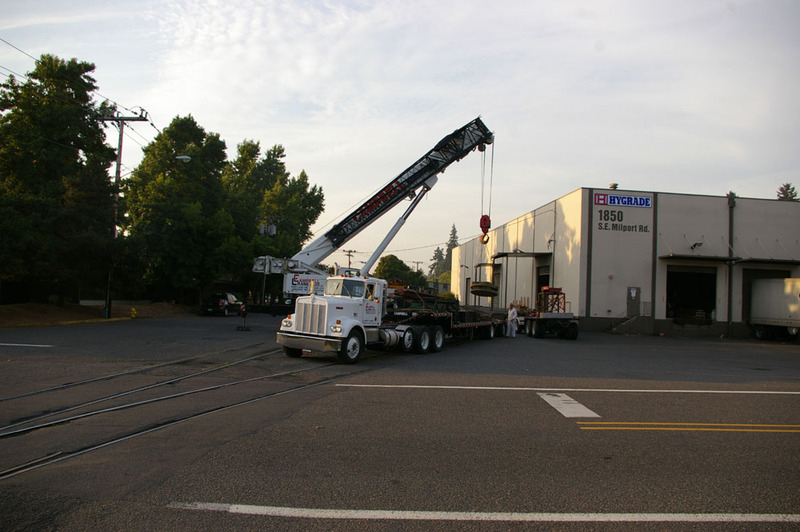 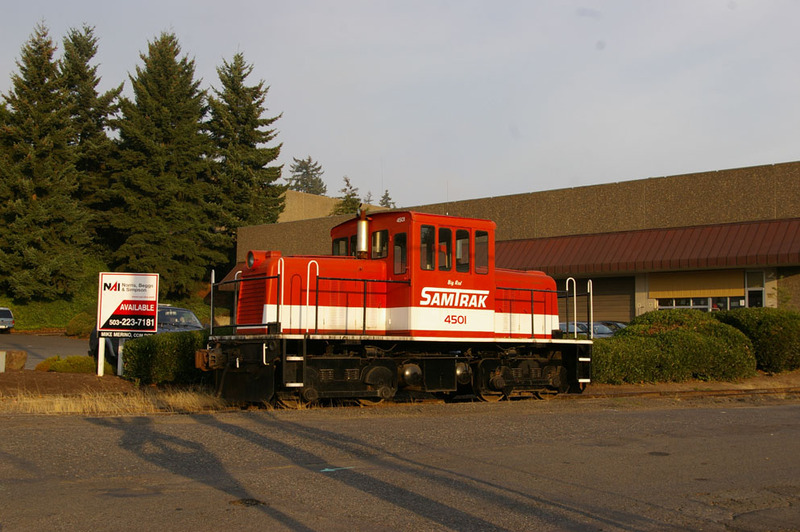 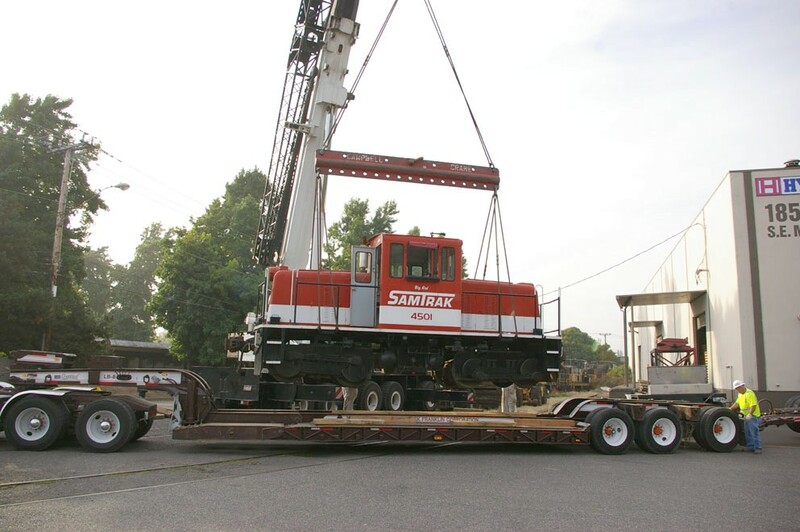 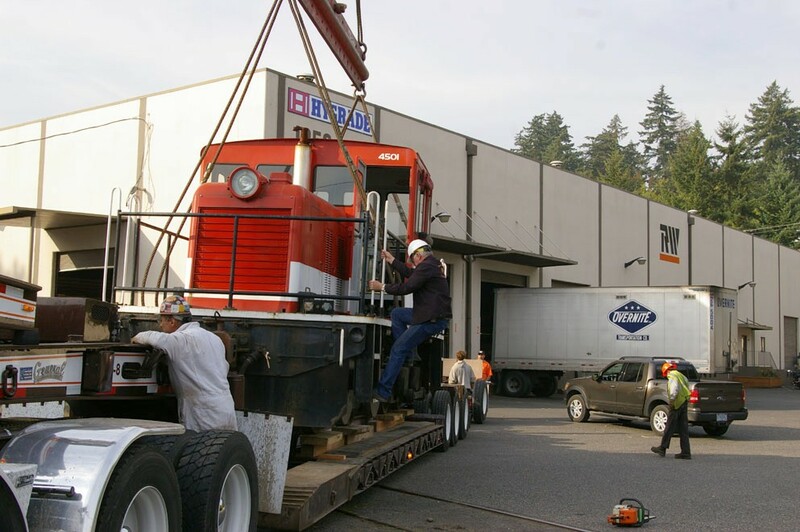 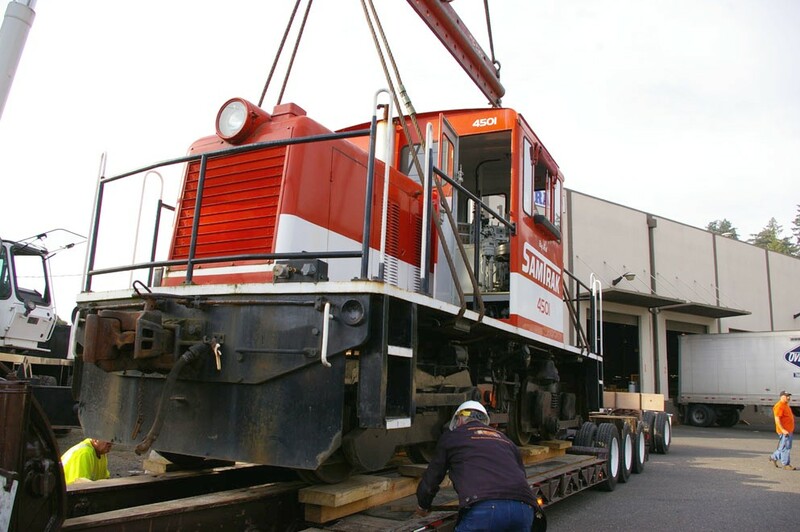 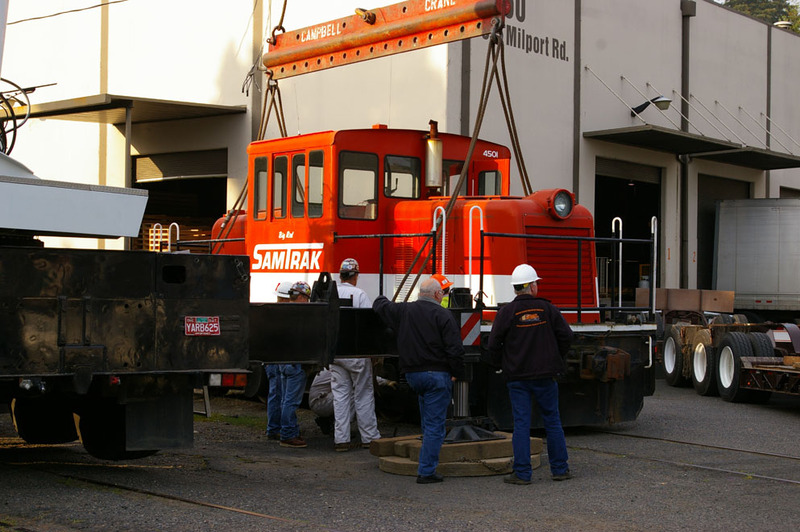 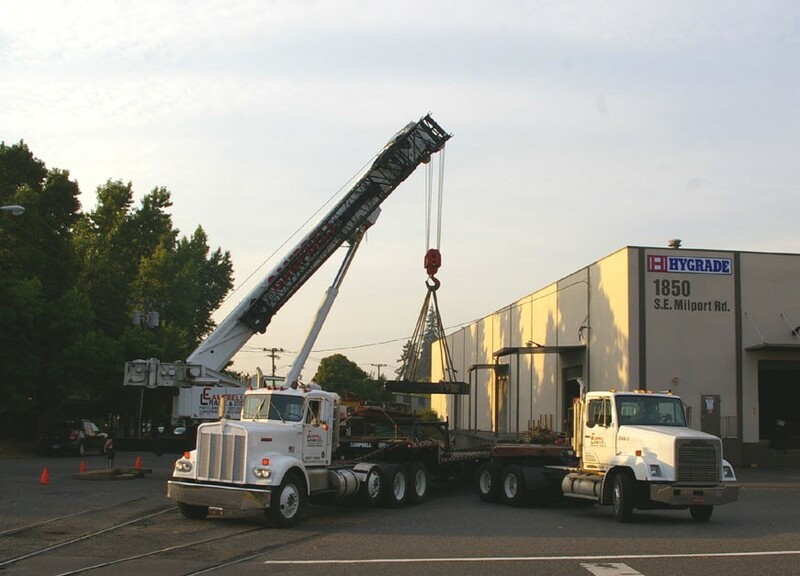 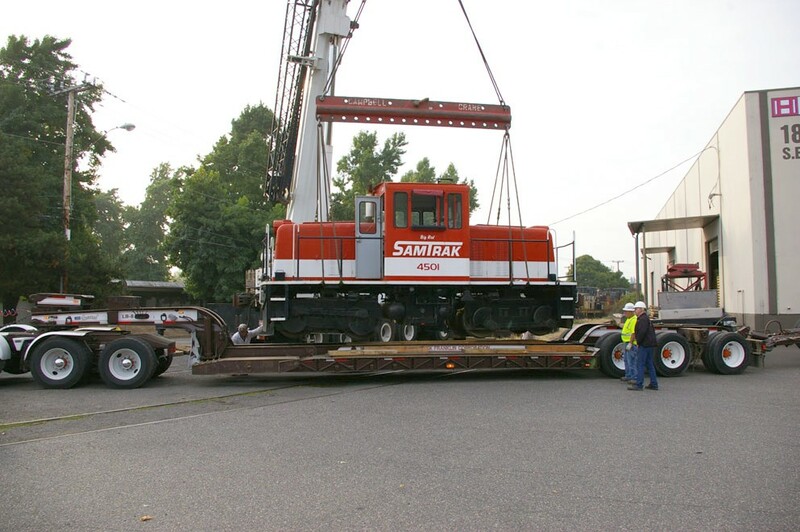 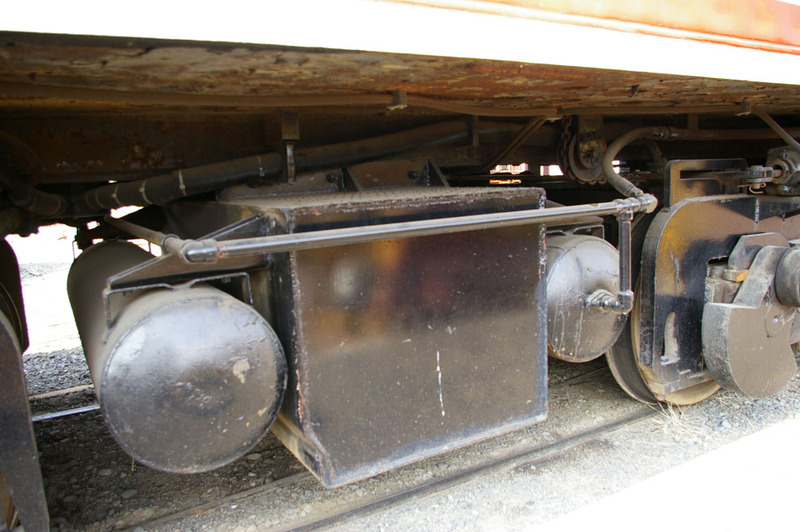 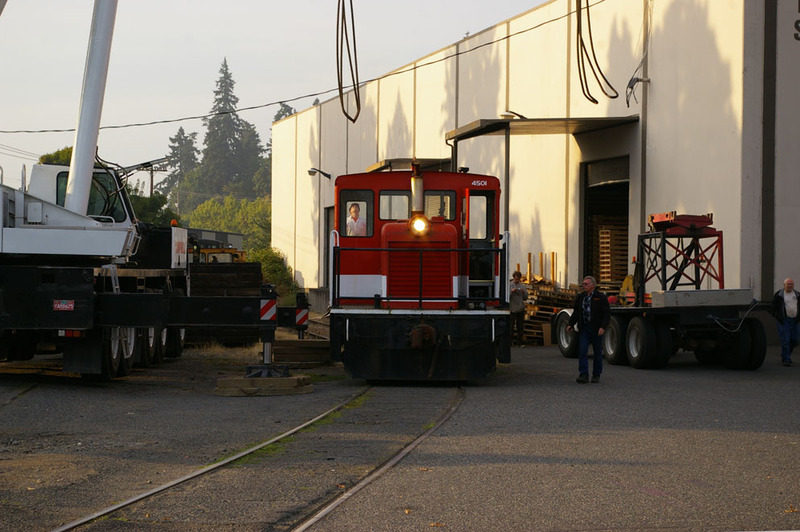 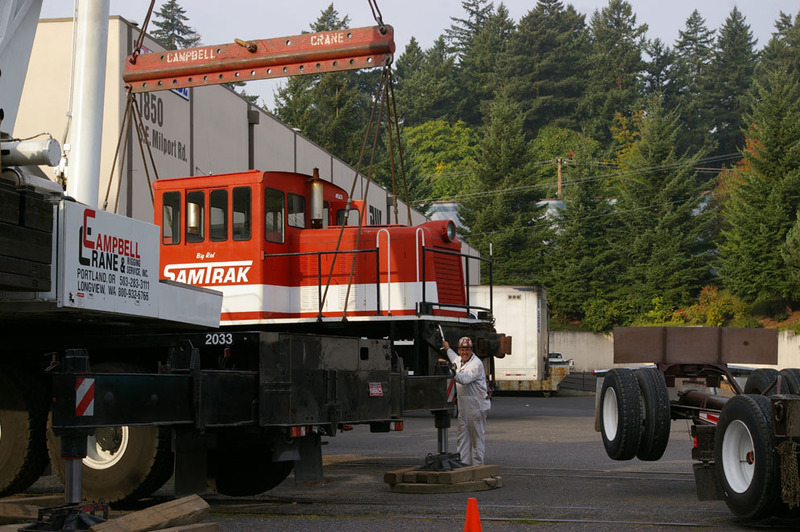 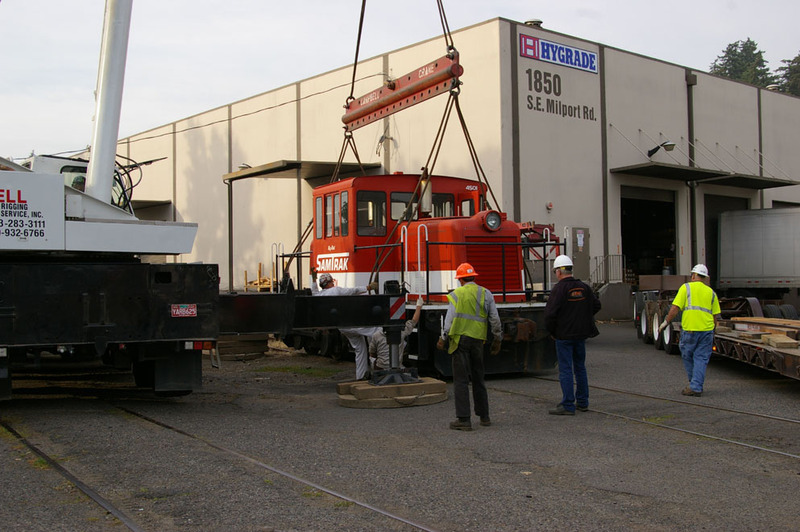 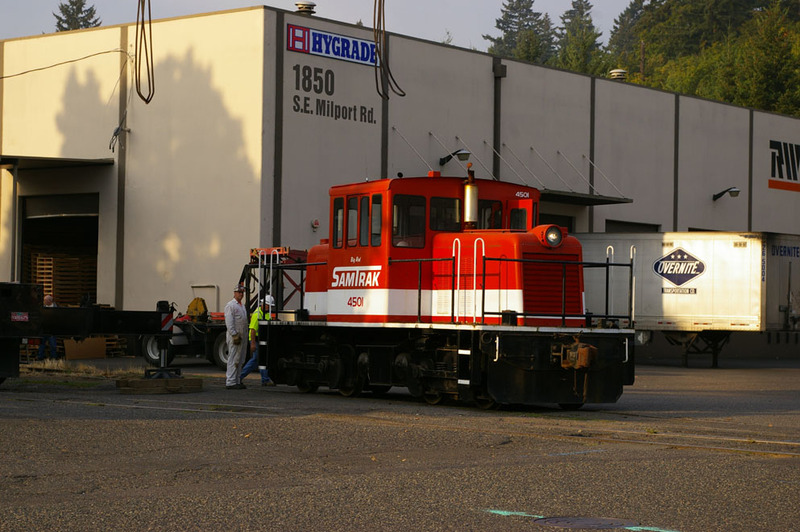 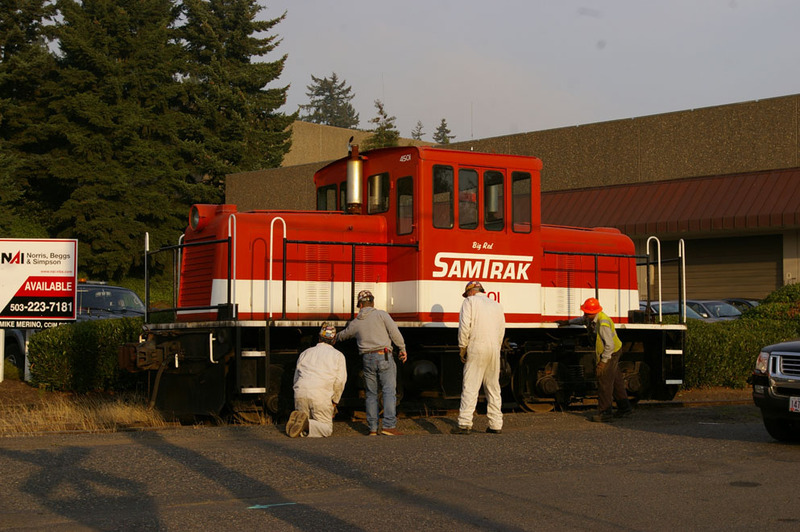 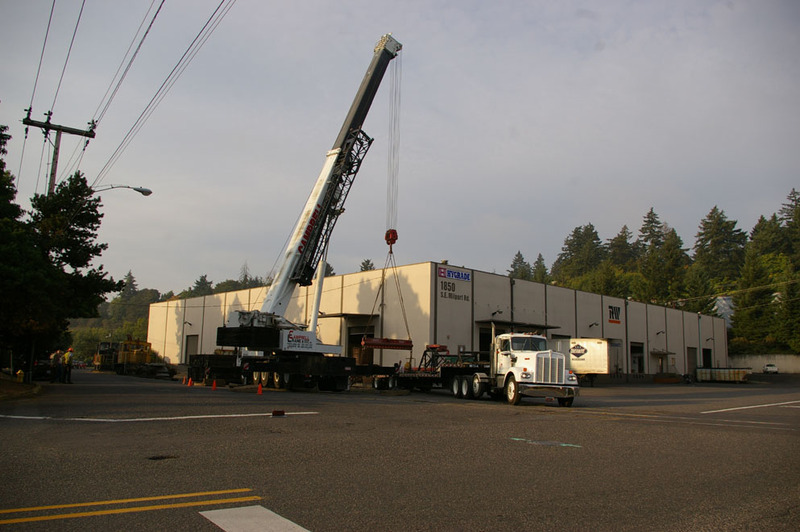 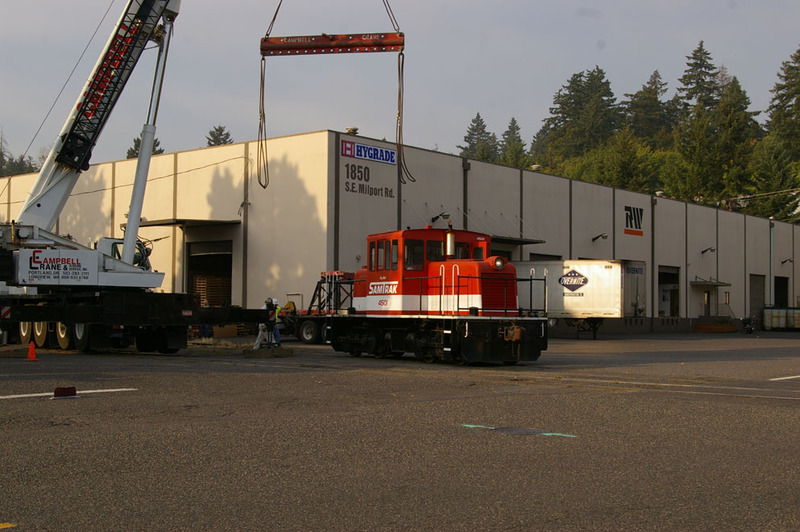 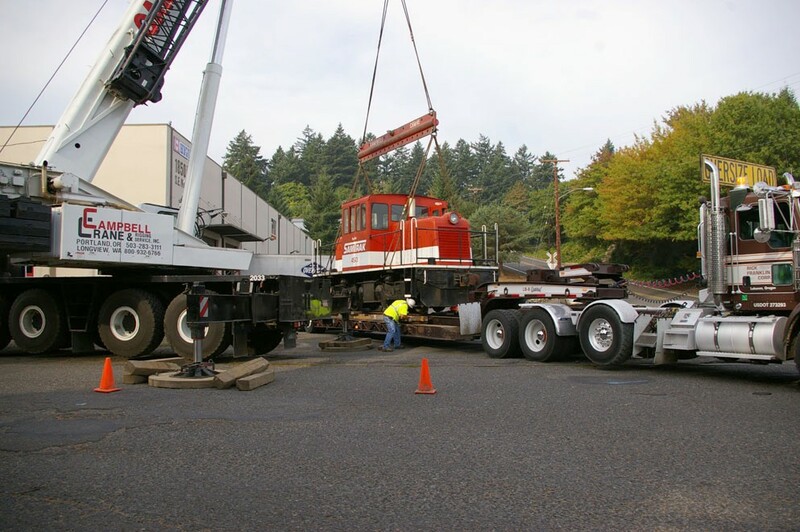 The 4501 was loaded onto a low boy truck on October 1, 2008 and shipped to the POTB at Timber, Oregon. 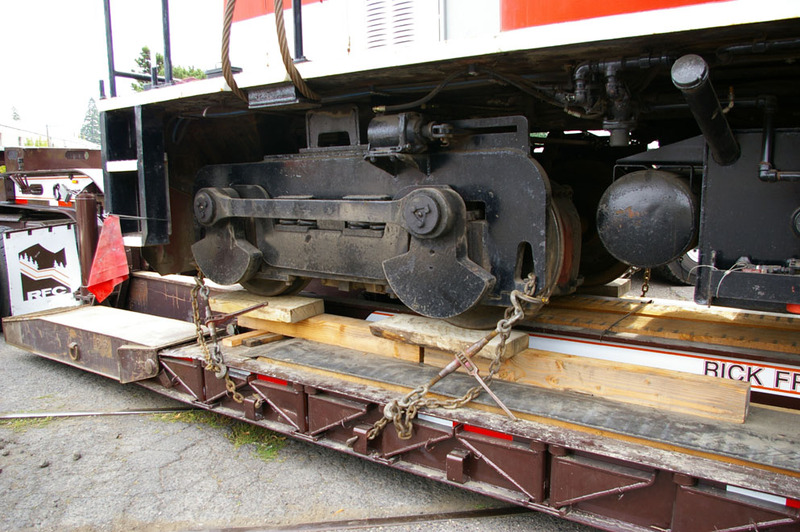 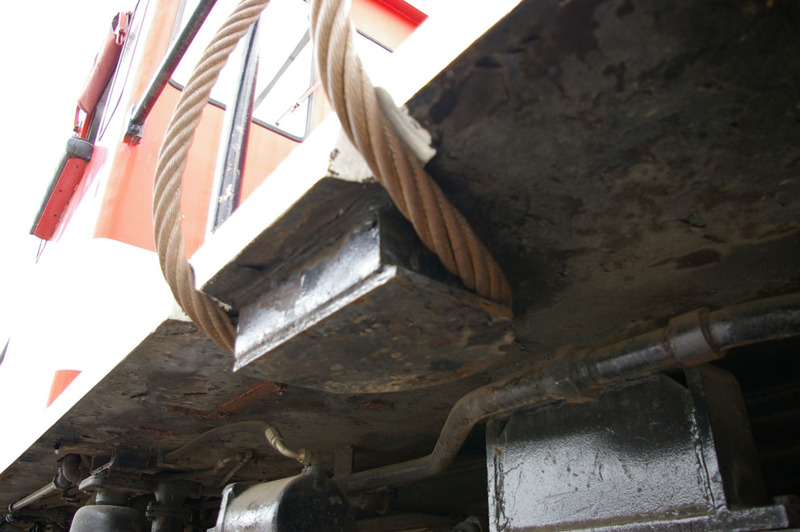 See the bottom of the page for numerous photos of this crane lift and move of the 4501. 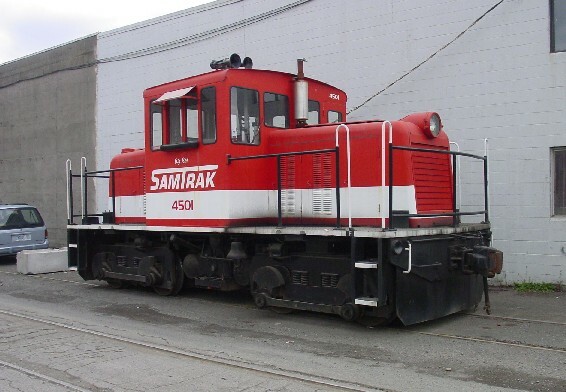 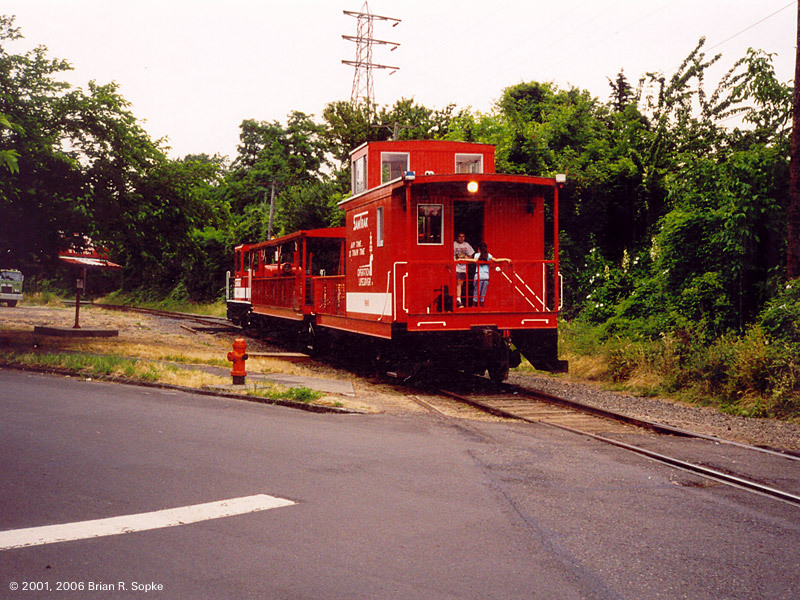 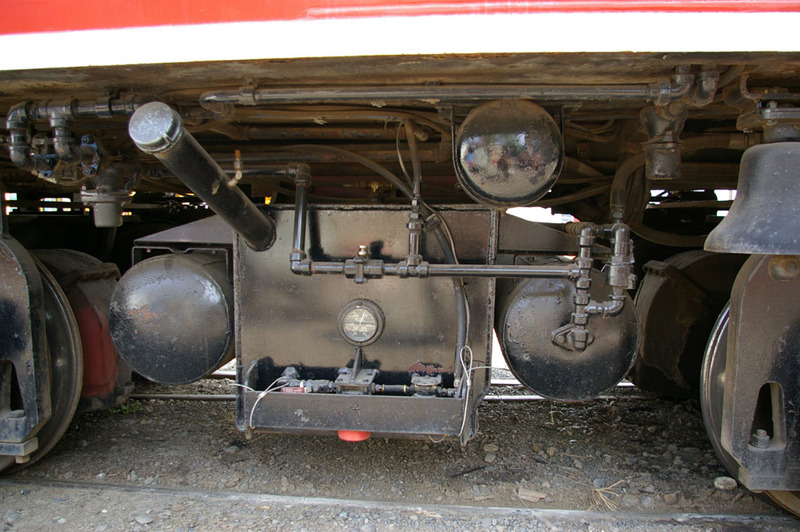 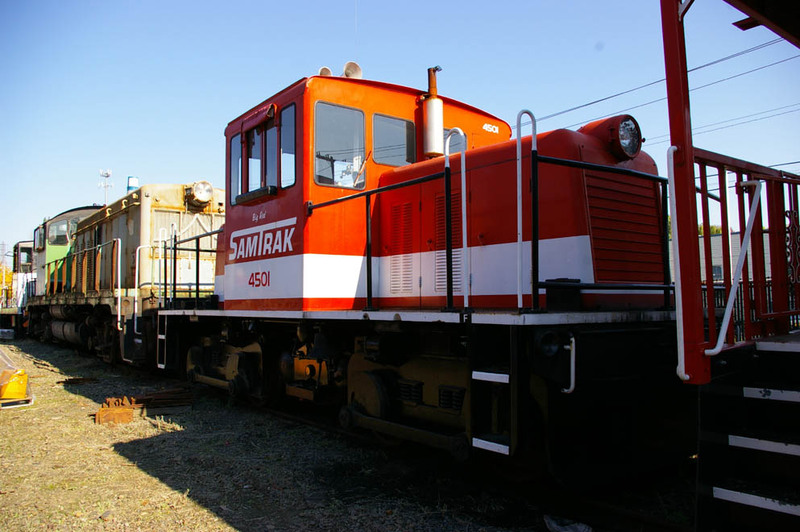 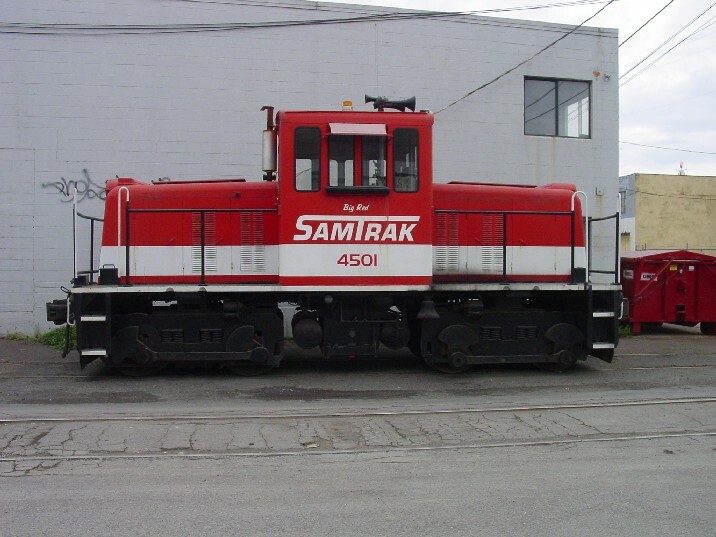 Samtrak train when it was in operation between 1993 and 2002. 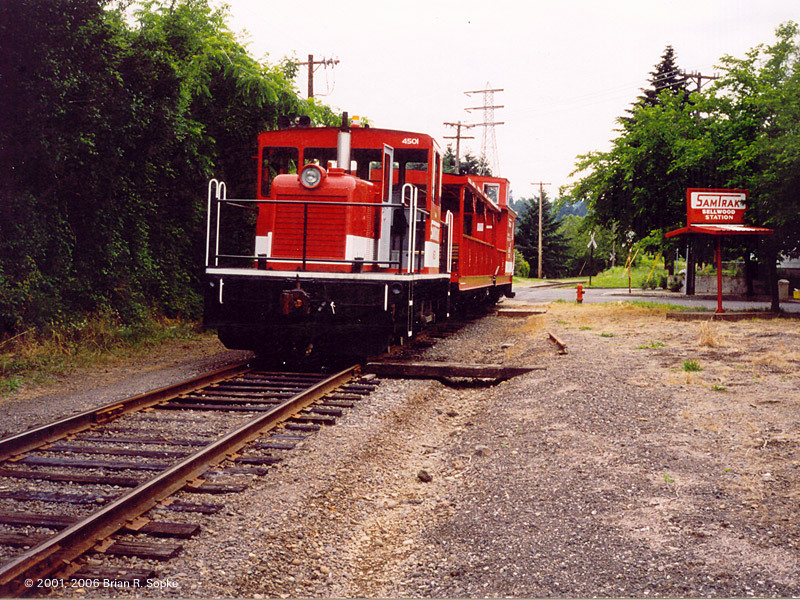 These photos were taken in the later years of operation. 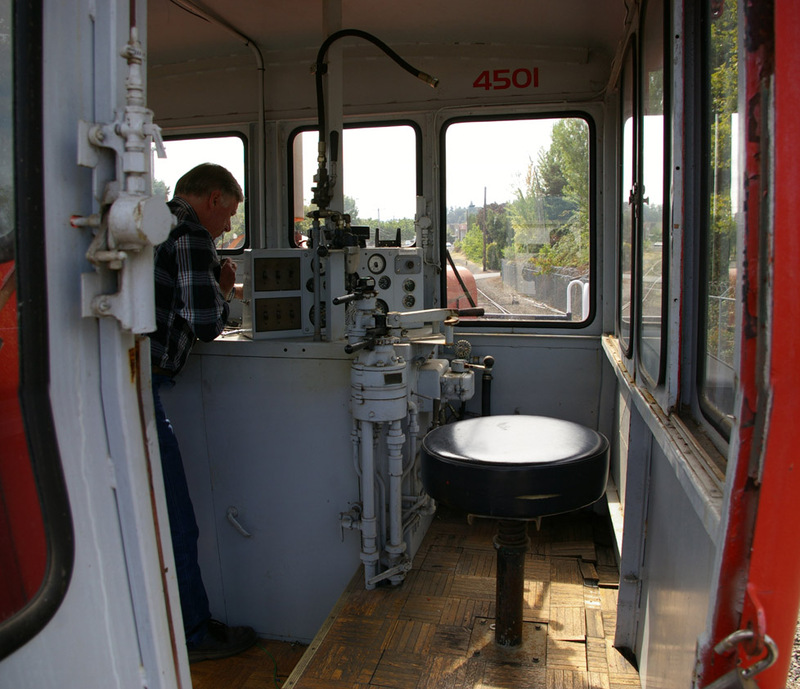 built and installed the remote control system entirely himself. 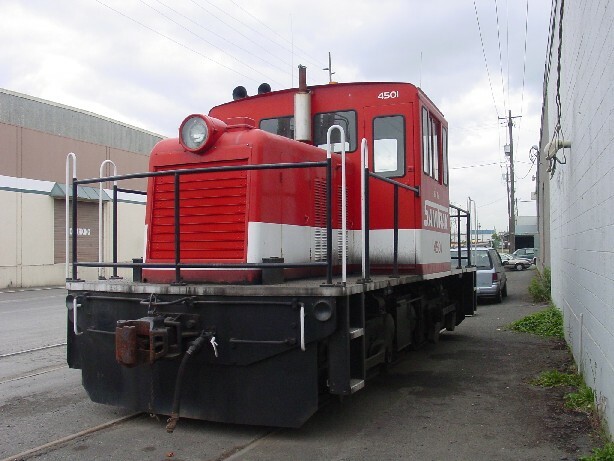 for a total of 300 h.p. 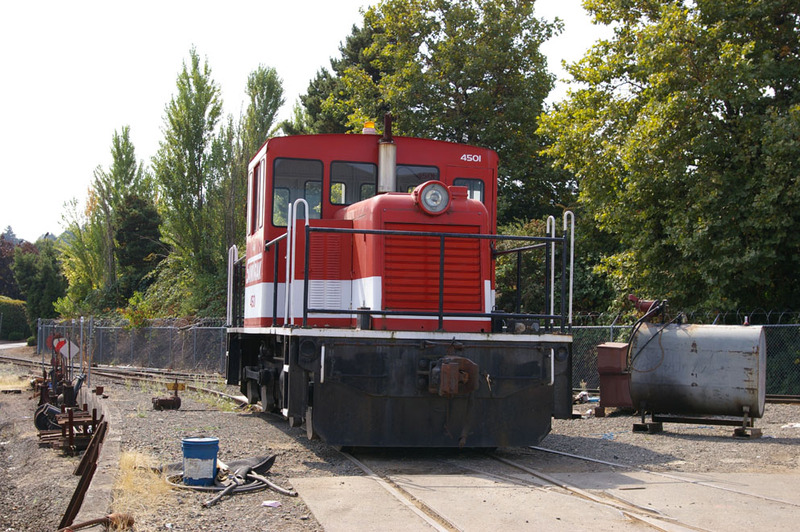 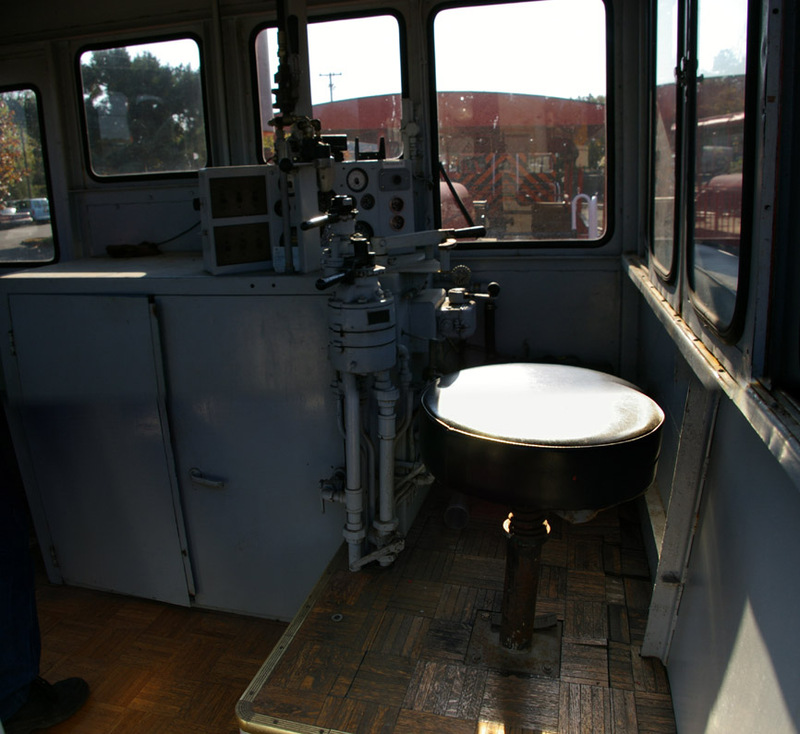 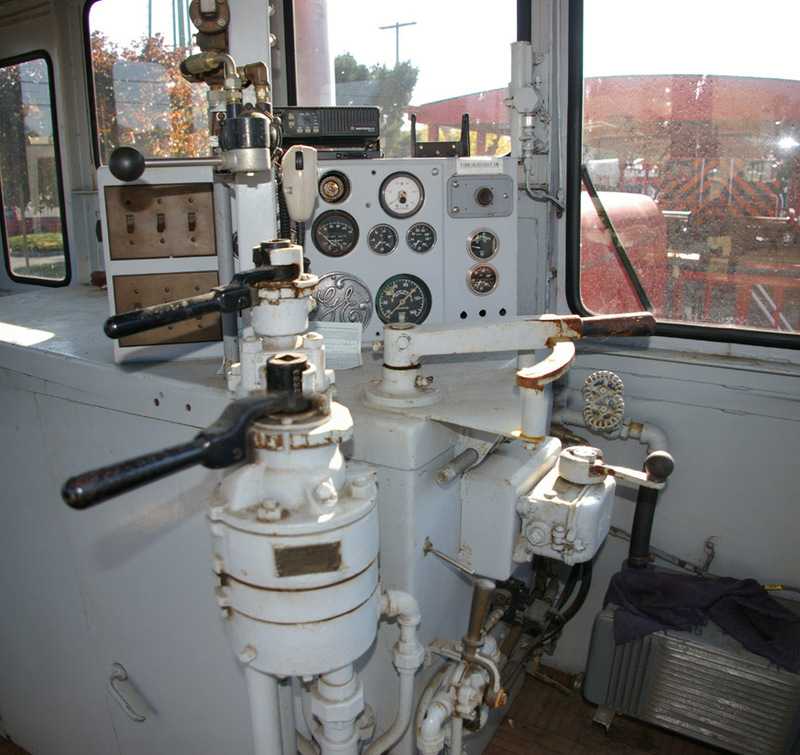 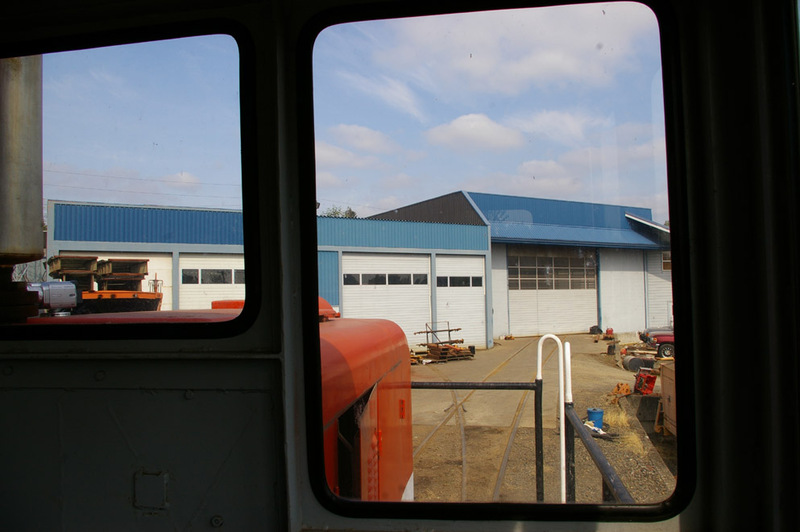 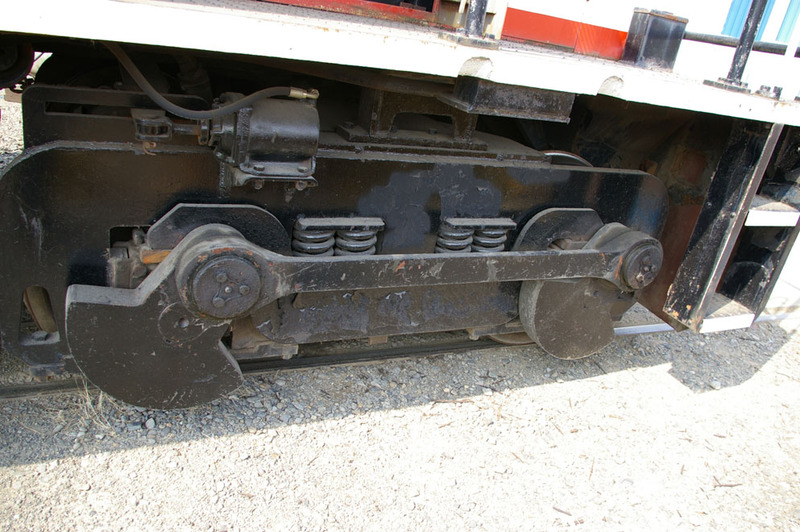 Some of the last photos of the 4501 while still on OPR property, since it was sold in September, 2008 to the POTB. 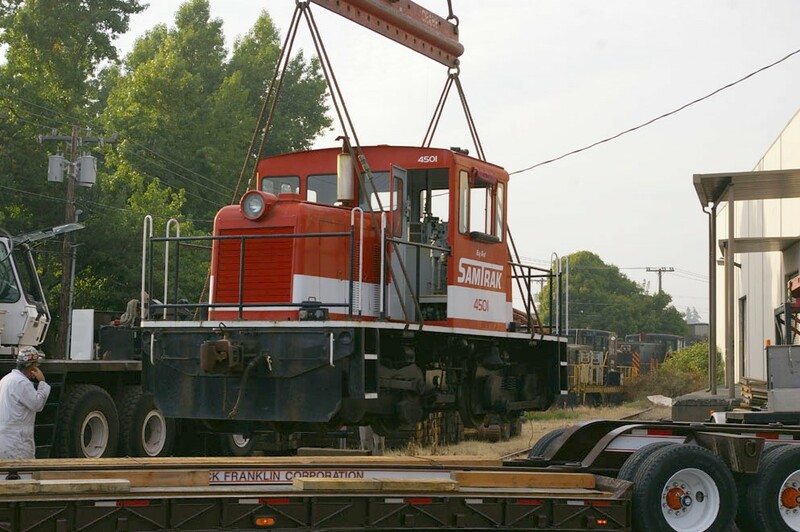 brought onto the OPR property at the south end of the McBrod Street spur. 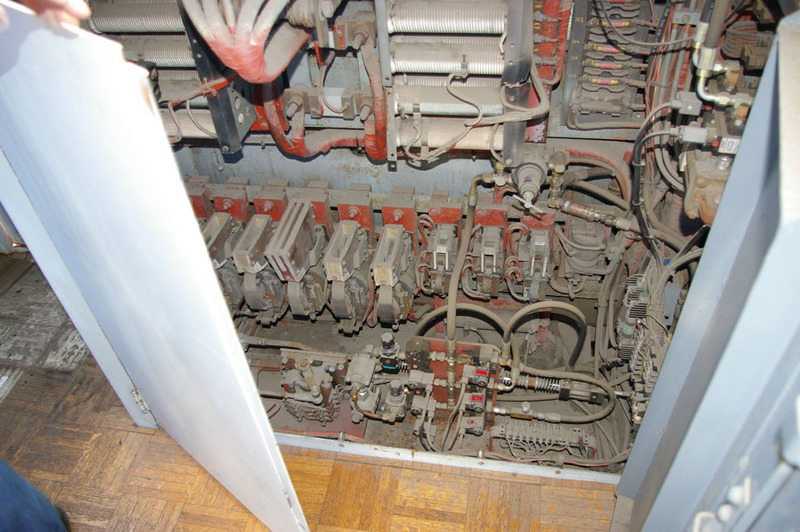 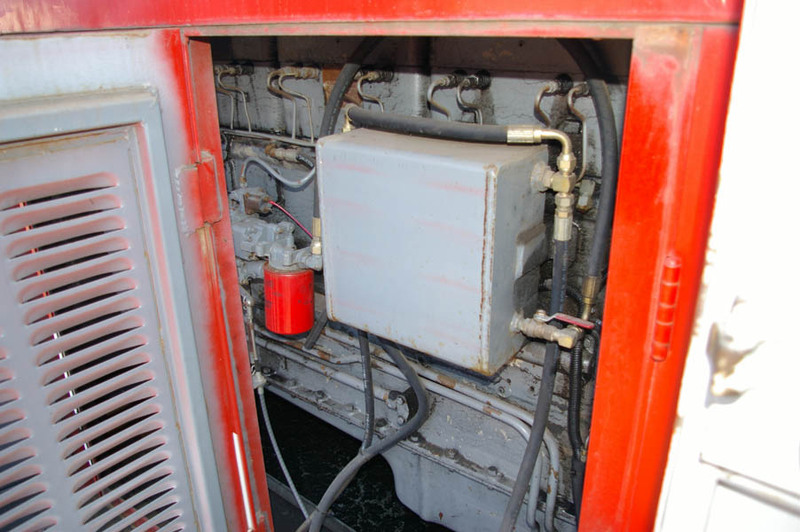 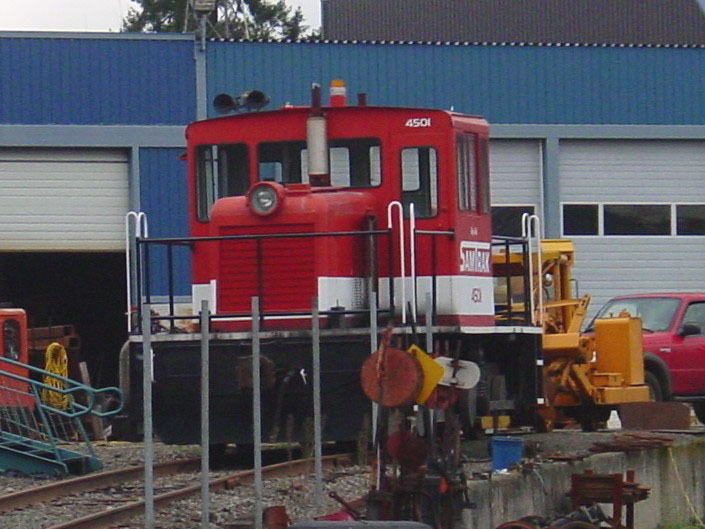 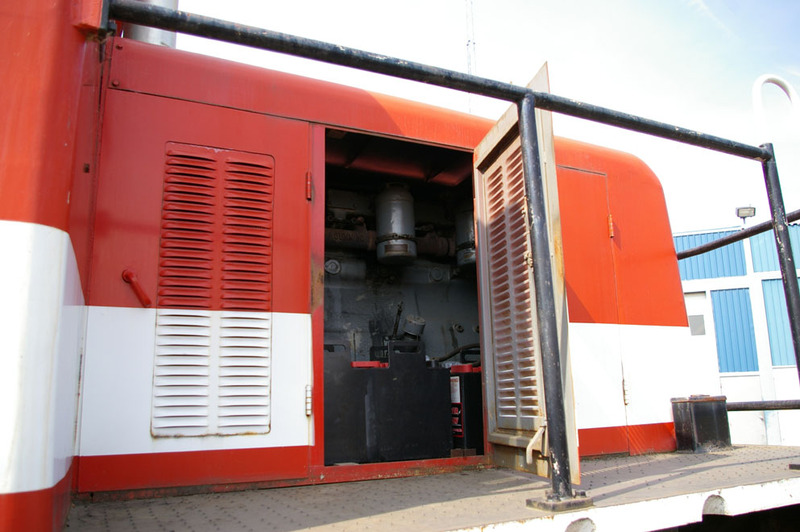 The 4501 was brought down from the shops under its own power. 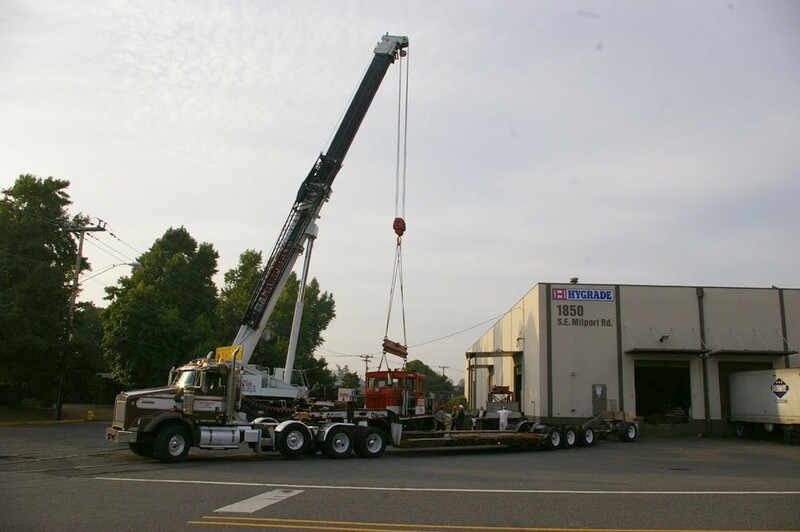 just for this type of lift. 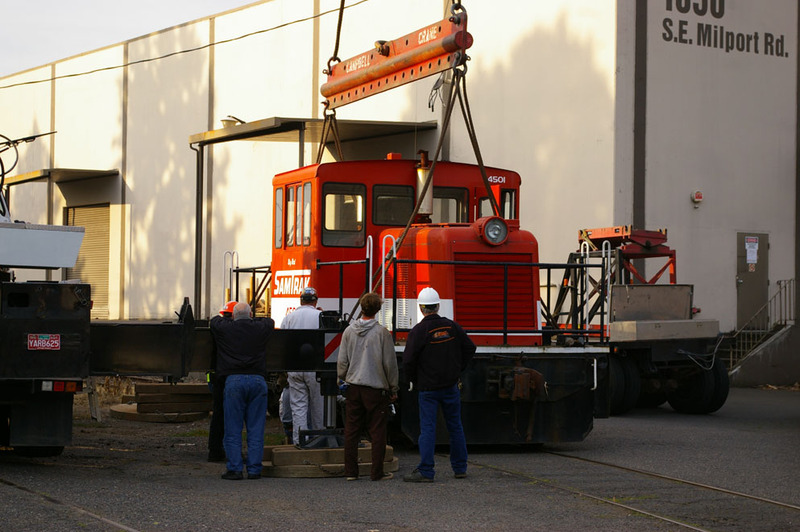 Lifting the 4501 into the air and over the low boy trailer. 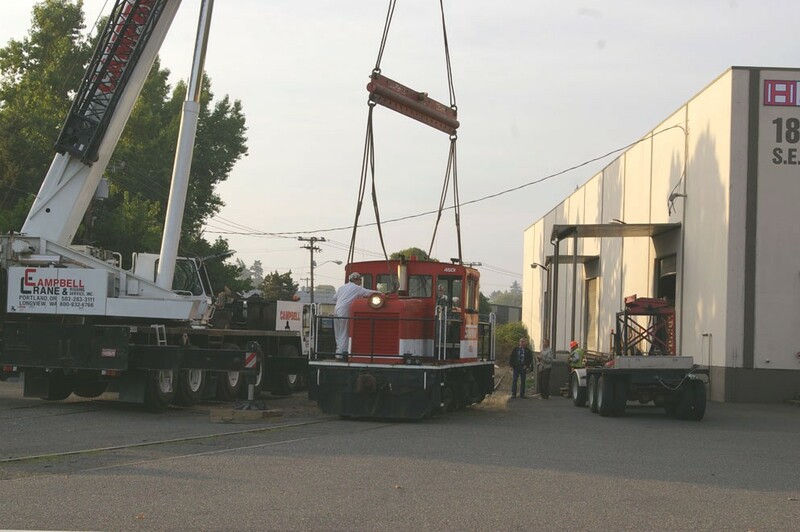 The crane had no problem lifting the locomotive. 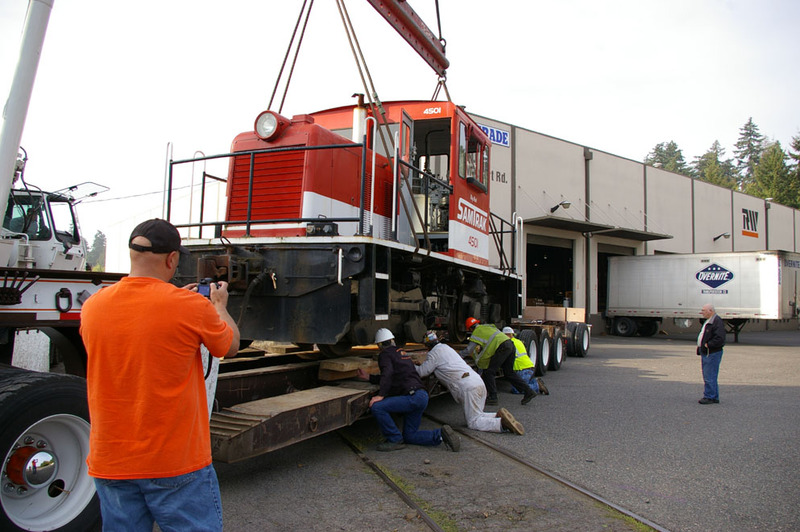 Lowering the 4501 onto the lowboy and aligning the wood blocks. 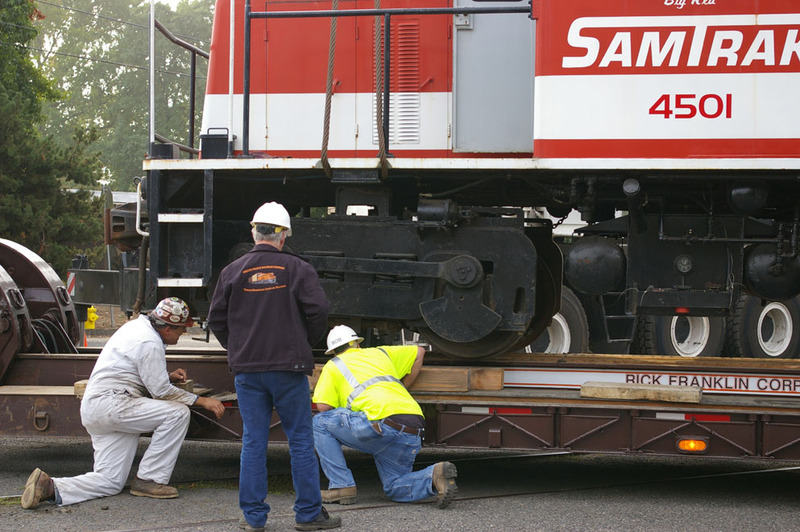 Mr. Samuels steps down from the 4501 for the last time and final chain up and preparations before departure. 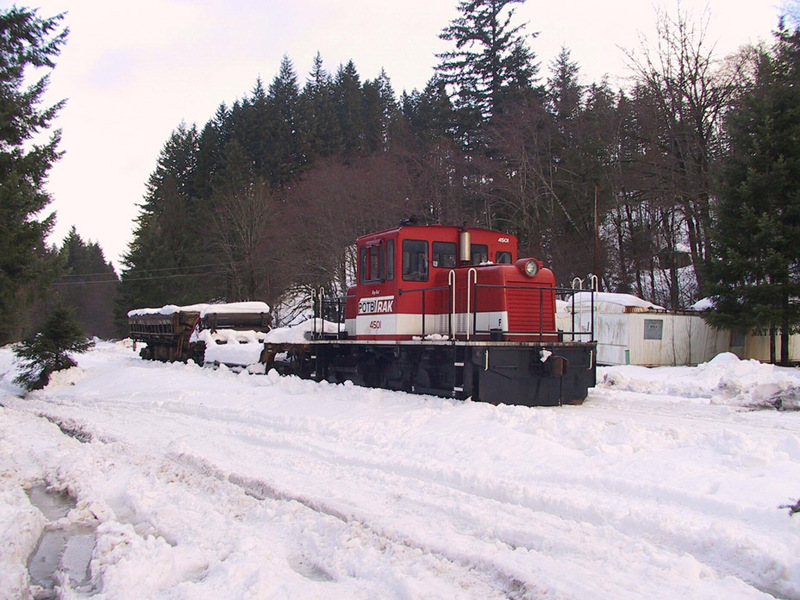 and was loaded onto the POTB railroad where it will soon begin repairs on the 2007 storm damage. 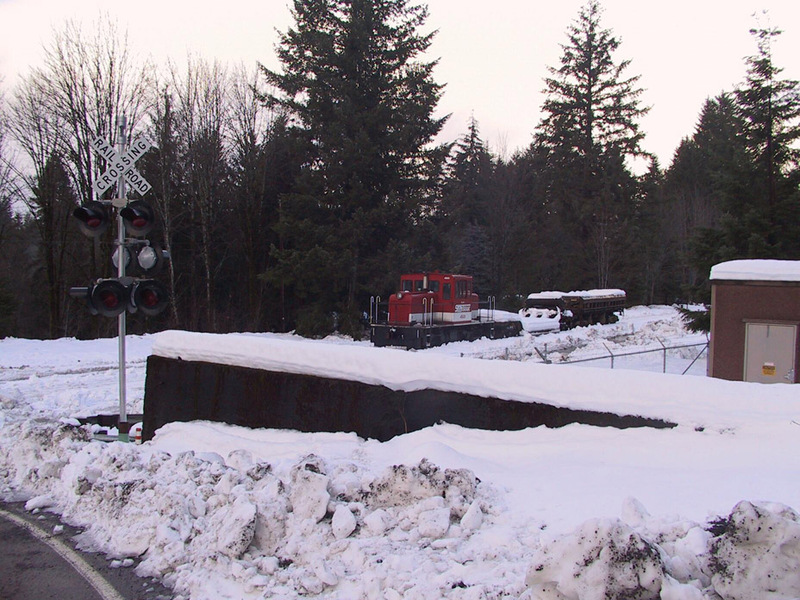 2008 and is the first time a locomotive has run on this section of track since the storm damage of 2007. 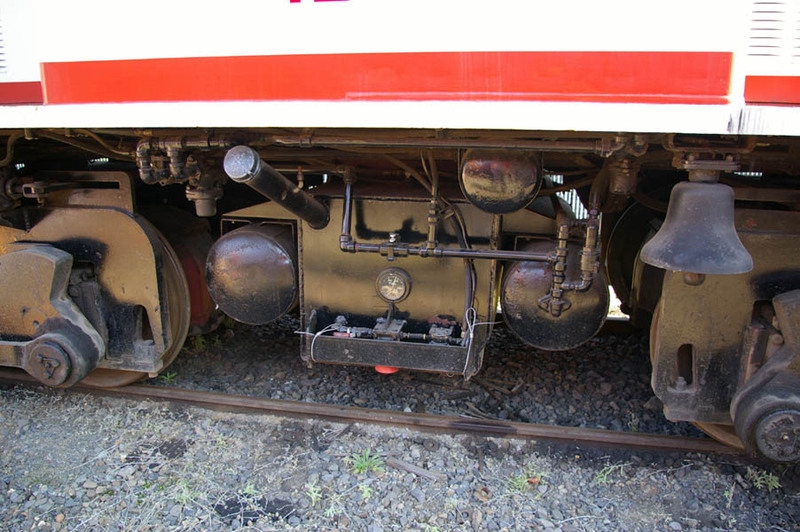 Photo courtesy of Aaron Zorko, POTB. 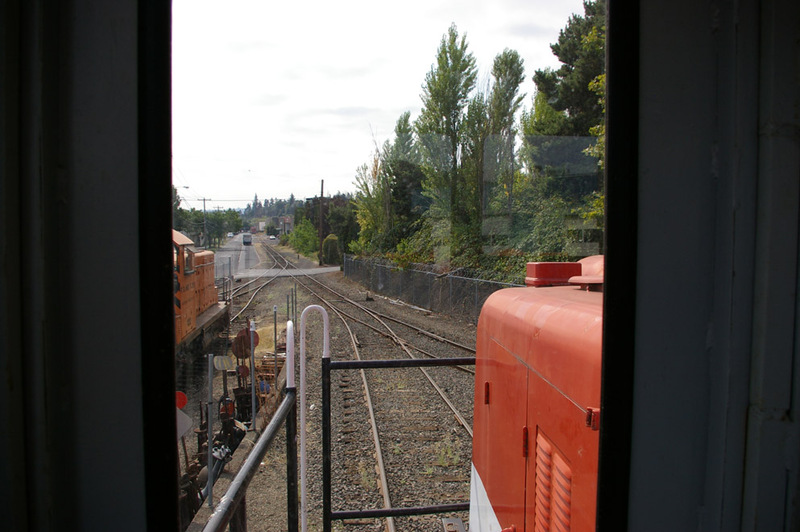 93MB, 17 minutes long More OPR videos on our videos page. 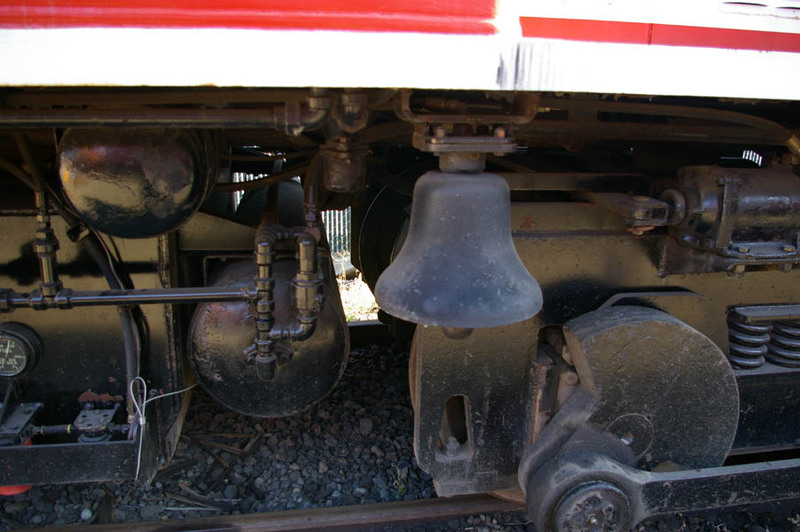 getting the POTB back into full service. 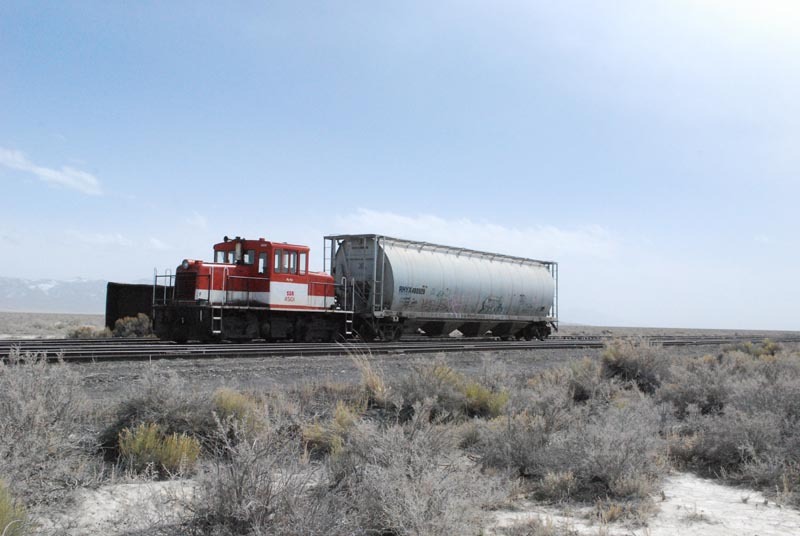 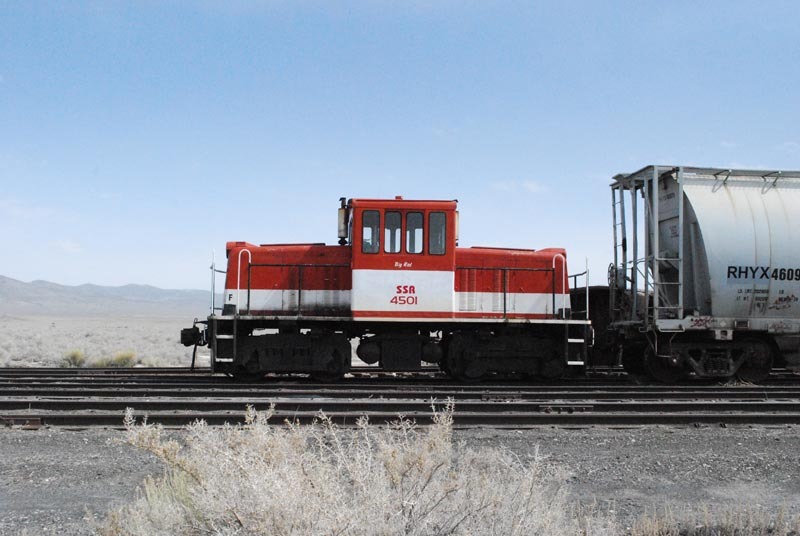 Nevada Northern Railway to store cars south of Shafter.